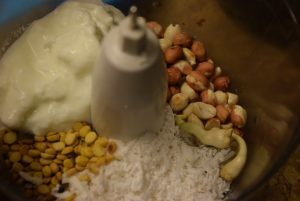 This white dip (coconut-peanut chutney) was my favorite as a kid, and I believe almost every kid who has tasted it, enjoys it. Because of its balanced spice level , it does not leave you fuming with hotness with a burst of tangy, cool, sweet, savory flavors in your mouth. I am blessed with a talented Mom, who loves cooking and experimenting with ingredients in the kitchen. 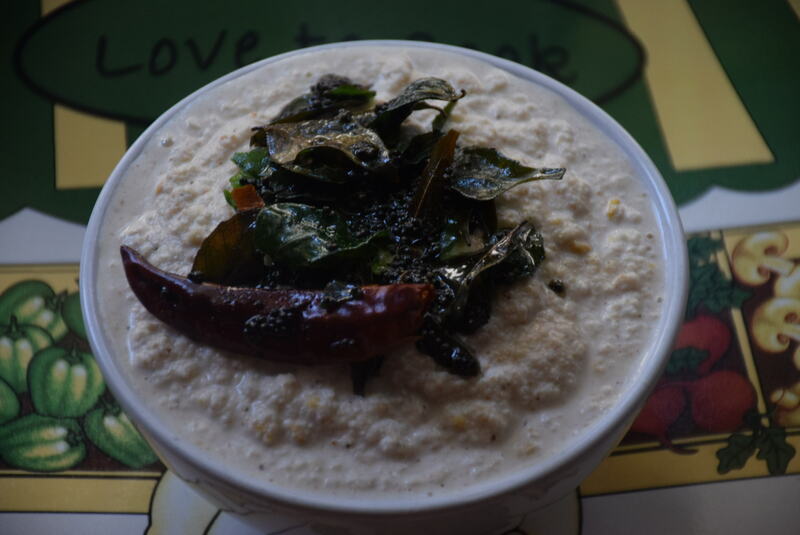 She never failed to serve this chutney with steaming Idlis and Dosas. 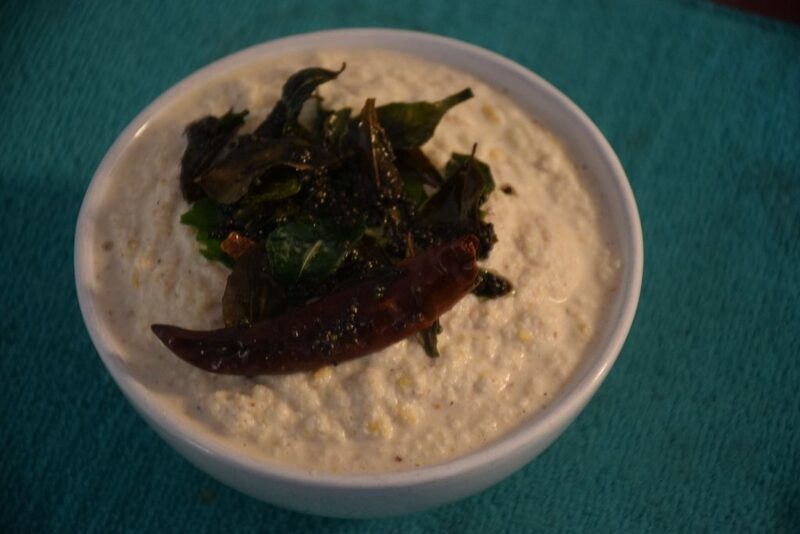 I prepared this a mutltiple times after marriage, but found this recipe to be worth trying. 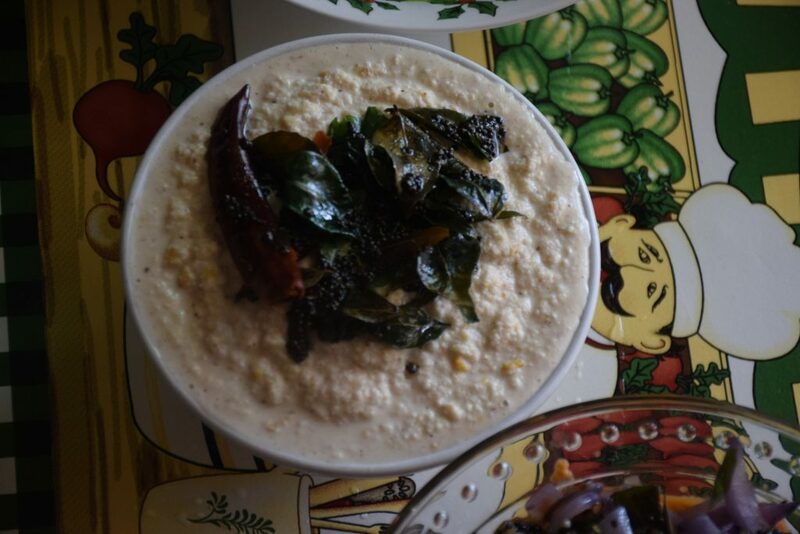 This recipe is adapted from Veg recipes of India. Hope this recipe touches your heart like mine . 1. Take a wok (kadhai) and heat it on medium heat. 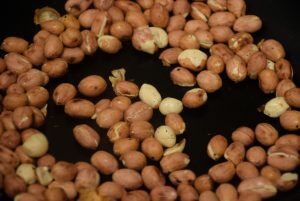 Add peanuts and dry roast them till they change slight color or emit roasted aroma. 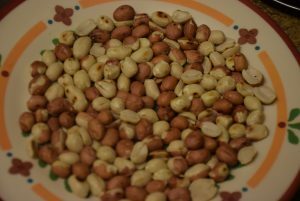 When they are roasted ,remove their skins by rubbing in a cloth and then by gently blowing away them in a plate. 3. Now heat a pan or wok (kadhai) and add oil in it. Coconut oil is recommended ,but you may use canola , olive or soybean oil too. 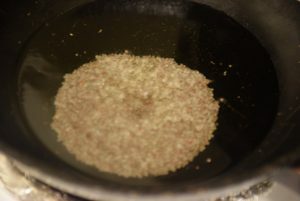 Add the mustard seeds and let them sputter. 4. 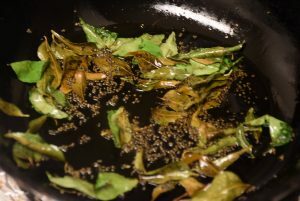 Add fresh curry leaves and cover the lid to avoid any harm. They roast instantly , so stir them and lower the heat while partially covering the pan. 5. 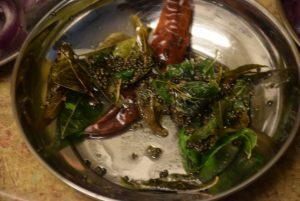 In the end add the whole red chillies or green chillies in the tempering and stir them till they are roasted at medium or low heat. Turn off the heat. Add the tempering over the ground chutney or just sprinkle it along the edges of the bowl. Cool the dip in refrigerator before serving. This dip tastes delicious and stays fresh for 4 to 5 days. It is best enjoyed with Dosa, Idli, Vada and Sambhar. Thank you for reading this post !! Please leave a comment below if you have any questions or suggestions !! 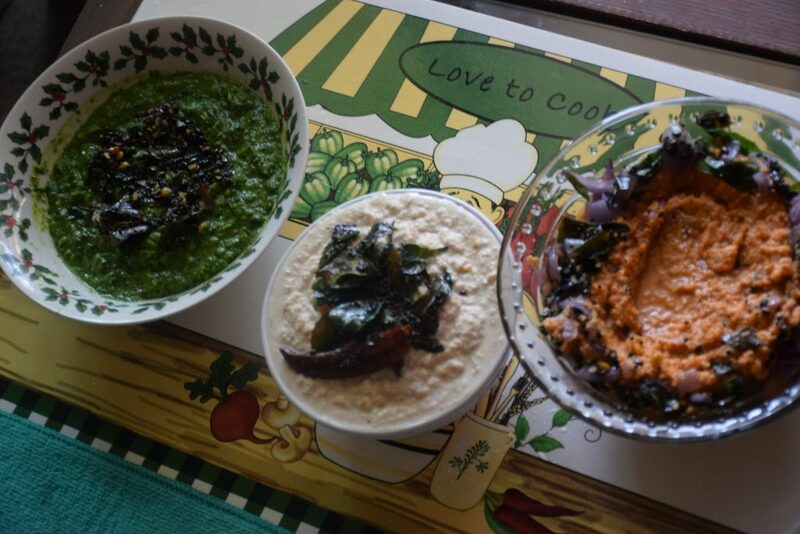 This entry was posted in Dips and pickles, Food, Recipes and tagged appam, Carenshare, dosa, fresh, fresh for 5 days, home-made, idli, less spicy, mildly sweet, no preservatives, Peanut-coconut chutney, sambhar, shweta jindal, sour, South-Indian, Vada, white coconut chutney, zindagisikhati.